إذا كنت تبحث عن فندق بموقع جيد في نادي، فقد وجدت ضالتك في Nadi Downtown Hotel . يمكن من هنا للضيوف الاستمتاع بسهولة الوصول إلى كل ما تقدمه هذه المدينة النابضة بالحياة. إن سهولة الوصول من الفندق إلى المعالم السياحية الشهيرة الكثيرة في المدينة كمثل اويسوم ادفانتشر, جالاكسي 2, كابتن كوك هو استثنائي بحد ذاته. كما يقدم Nadi Downtown Hotel الكثير من الخدمات لإغناء رحلتك في نادي. يقدم هذا الفندق العديد من الخدمات الكفيلة بإرضاء أكثر الضيوف تطلباً. 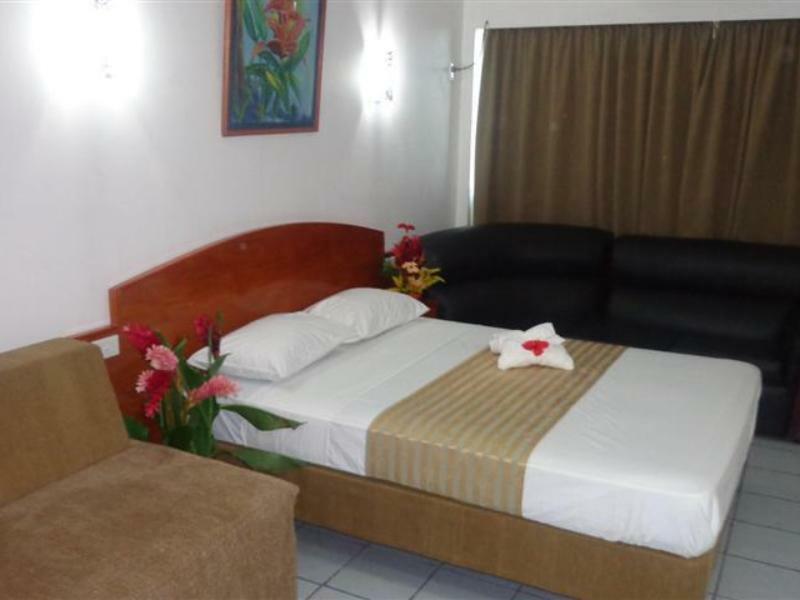 تنعكس أجواء Nadi Downtown Hotel في غرف الضيوف.مكيف هواء, خدمة الإيقاظ, مكتب, ميني بار, شرفة/ تراس هي بعض الميزات الموجود في العديد من الغرف. يقدم الفندق العديد من الفرص للاستجمام كمثل غوص, صيد السمك, سبا, تدليك, حديقة. مهما كانت أسبابك لزيارة نادي، فإن Nadi Downtown Hotel هو الخيار الأفضل لإقامة مثيرة وممتعة. Didn’t work an air conditioner. Dirty hotel. But staff is kind and location is good. Just sleep is ok. I have travelled in many underdeveloped countries but never found such a filthy hotel for this price! Plus the staff was a bit rude. Maybe it is their way. There are more expensive rooms and maybe they are worth the money, don’t know. Avoid breakfast as well! Coffee and tea are not bad though. Please choose any other place!! Uncomfortable to see notice "Alcohol in room, penalty FJD200"
The room was clean and the people were very kind but unfortunately the room had only a window to the staircase. So it was a bit stuffy. There is nothing in the town except that it is really near to one of the temple. There is construction in the area as well. The people from the hotel are fine. But the owner of the pvv tours are frauds. When a mistake is made by the company they cover the money up by cutting of the salary of the employees. Prakash is the son of the owner and makes the arrangement as a agency for tourguides. As when something is wrong the dad is going the most greediest person alive. Don’t ever go here for tour guides. Just go to denarau there you’ll find the cheapest prices for all your tours. Who are you and what did you book. I think you have some personnel agenda against the company and Directors. Overall it was clean and okay, however, the room smelled strongly of mothballs, and ventilation could be improved. It was also a bit loud sometimes in the night. Because of internet reservation,they don’t have empty room.And they changed our room without informing .after We get in our room,we notice that. If at all possible, one should avoid this hotel as much as possible. It does look like it might not stay open for much longer anyway. The staff is obviously on edge. This is hotel where you can pay by the hour, which is never good. It’s a dodgy, ugly, dirty and probably even unsafe place to stay. The room was huge. And I love the hospitality being shown by the front desk. Does not recommend, id maybe book for someone I don't like, that's it. Bula Luke, Thanks for your feedback. May I know what happened that you would not recommend anyone staying at the hotel. Have you addressed any issue at the reception and was the staff not helpful. Thanks, Nadi Downtown Hotel. A budget place in the city area. Shops & restaurant close early so better have dinner early. Not very safe to walk in this area after 7pm. People here in this hotel are generally friendly. Bula Yah, Thanks for your feedback. 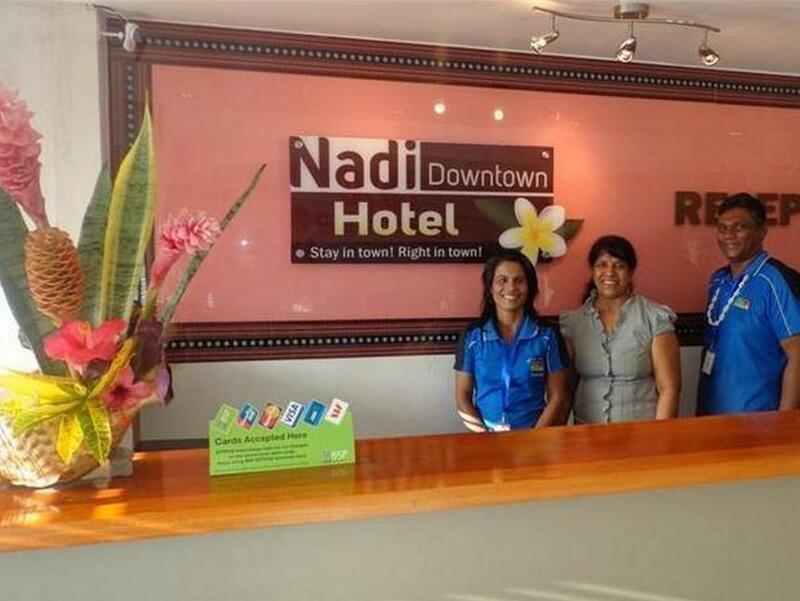 I think we will book at Nadi Downtown Hotel every time I come to Nadi.